Round Rock, known as the sports capital of Texas, is where you will find Round Rock Premium Outlets. This premier outdoor shopping center is home to over 125 stores, including your favorites like adidas, Ann Taylor Factory Store, Banana Republic Factory Store, BCBG, Coach Factory Store, Gap Factory Store, GUESS Factory Store, J.Crew Factory, Michael Kors Outlet, Polo Ralph Lauren Factory Store, Tommy Hilfiger Company Store, and White House | Black Market. Plan a destination trip to this destination near Austin, Texas, and experience a vacation that is perfect for families. Whether you plan on shopping at Round Rock Premium Outlets for a day or staying in the area for a mini vacation, you'll love the endless attractions that are readily available to you and your family. Head to the Round Rock Sports Center fun a fun day of sports watching. This center hosts all of the major championship and tournament games for young athletes in the state of Texas. Other local favorite attractions include Austin Convention and Visitors Bureau, Round Rock Convention and Visitors Bureau, Round Rock Chamber of Commerce, The Dell Diamond - Home of the Round Rock Express AAA Baseball Team, Novita Spa and Teravista Golf Club. Savor the flavor of the area and choose from a wide variety of local dining options for all ages at the shopping center. No matter what your tastebuds are craving, you're sure to find exactly what you're looking for close by. For a quick bite to eat in the middle of your shopping day, try a pretzel from Auntie Anne's or a refreshing drink from Starbucks. For a fast lunch option, try west coast favorite In n' Out, comfort food expert Church's Chicken or Phil's Philly Grill. 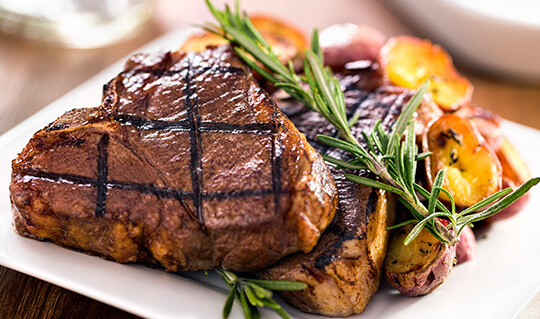 And, for dinner, try local favorites like Chili's, Bj's, La Madeleine and Villa Italian Kitchen. There is truly a dining option for everyone right at the shopping center's location. 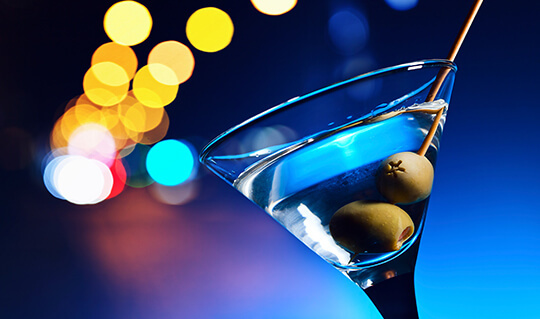 No vacation is complete without a night, or day, out on the town, so if you are looking for a nightcap, movie and more, the area surrounding the shopping center has you covered. From sports bars to downtown nightlife, the area is teeming with nighttime options you're sure to love. After a full day of shopping, head to Chili's or BJ's for late-night appetizers, drinks, and the big game on big screen TV's. The relaxing atmosphere is perfect after a long day, and of course the drinks are to die for. Or, head to downtown Round Rock or Downtown Austin for more nightlife options like love music, nightclubs and more. From anniversary dates to girls' night out, you won't be disappointed. If you're interested in making Round Rock Premium Outlets your next vacation destination, there are a wide variety of accommodation options to choose from for everyone, including the leisure traveling family, the girls for a weekend of fun and even business travelers. 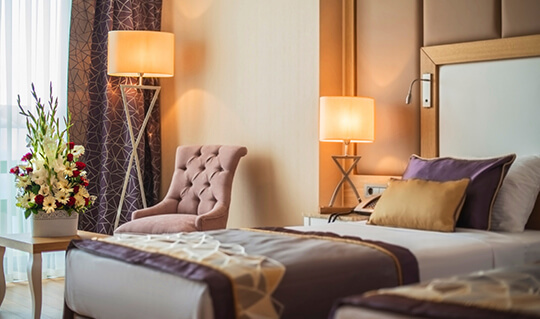 From hotels to charming inns, economical motels and more, you're sure to find the perfect place to stay that meets your individual needs, comfort and budget. There are plenty of options to choose from, and staying near the shopping center has never been easier. If you're planning on staying in the area, check out Driskill Hotel, Embassy Suites North, The Four Seasons, The Hilton Austin Hilton Garden Inn, Holiday Inn Express, Hyatt Place, Hyatt Regency Lost Pines Resort & Spa, Hyatt Regency, Intercontinental Stephen F. Austin Hotel and Omni Hotel and more. Round Rock Premium Outlets is conveniently located off Interstate 35 just 20 minutes north of Austin in Round Rock, TX. Take Highway 71 West to Interstate 35 North. Exit 257, Westinghouse Road. Take Interstate 35 South to Exit 256, University Boulevard. Take US 290 West to Interstate 35 North. Exit 257, Westinghouse Road. *Round Rock Premium Outlets Shoppers receive a free VIP Coupon Book. Must present Zipcar key at the Information Center. 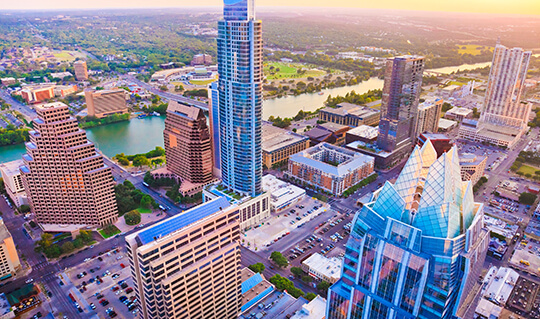 With a charter bus, minibus, shuttle, or motorcoach from National Charter Bus Austin, your group will be able to travel in and around Austin with the comfort of our luxury amenities, exceptional customer service, and courteous drivers. Please (512)-546-6019 for more information. Transportation Service that focuses on transportation needs in the Round Rock/Austin area. Fare Structure: $10 for trips 5 miles and under. Each additional mile is $2 dollars extra. On accepted trips, the goal is to be there within 10 minutes. Can take credit cards or cash as payment. Make reservations at www.1010Taxi.com or by calling 512-444-1010.